Saying that, despite the fact that it’s about three songs too long and ludicrously self-serious in tone, Silent Alarm also thrilling; as well as the obvious postpunk and mid 00s indie signposts, there’s a big bite of Airbag by Radiohead running through Bloc Party’s sonic aesthetic of cacophonous, tumbling drums, tactile basslines and lightning guitars, pushing them further into genuine modernism than many of their unashamedly retro peers. So Russell Lissack’s guitars swerve from the spiky signature of post punk to a keenly emotional, effects-laden futurism, while Gordon Moakes and Matt Tong together make a furiously propulsive and hysterical rhythm section which prevents Silent Alarm from ever seeming anything less than utterly contemporary. The problem is that it’s very easy to take Bloc Party as all aesthetic, all bluster, and little heart. Blue Light, This Modern Love, and So Here We Are offer tantalising glimpses of genuine emotion (still driven by too-fast rhythms which prevent that emotion ever seeming mawkish), but the likes of Price of Gas, Plans, and She’s Hearing Voices, whilst exciting to me seven years ago, now seem gauche and clumsy. Such is the folly of youth, I suppose. Rob listened: It was good to hear ‘Silent Alarm’ again, although telling I suppose that I haven’t gone back to it since its release. This slight return reminded me why. I recognise Nick’s description, and there are moments when Bloc Party seem about to perform a magical musical alchemy, taking the approach of spiky post punk and forcing it through modern sounds into a new, twisted shapes. Guitars careen and the voice swerves but, ultimately, the breakthrough is not achieved. Like the listener, you sense that Bloc Party could sense what they were close to creating, but they just couldn’t reach it. Nonetheless, ‘Silent Alarm’ couldn’t have been a better opener for what turned out to be an evening of Post Punk Through The Ages. 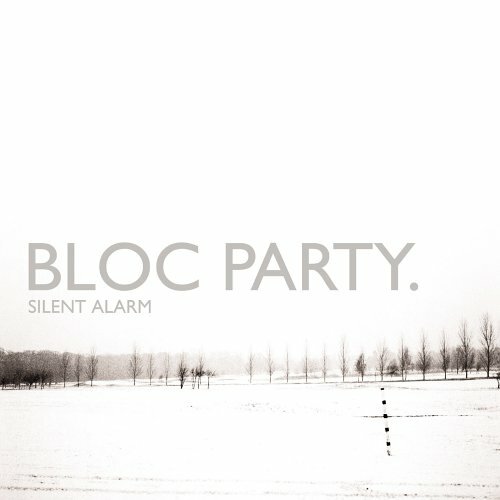 Graham listened: This was the first time I have ever given Bloc Party any considered listening. My traditional response has been to turn them off/over whenever they appeared on radio/tv. Just never really understood the mix of sounds/rhythms, with the end result it all sounded too awkward to bother with. For the first time I have now moved on in my appreciation of them. Listening properly without too much distraction finally lowered my defences to the point that I could begin to understand they were trying something quite clever. By no means converted, but will aim to give them a fairer listen in future. At the time of Silent Alarm’s release, I think I told anyone who would listen that the band was trying to channel the textures of post-rock through the framework of post-punk. I now realise that must have made the fifteen-year old me sound like a jerk, but I stick by it. There are snippets on this album that would not have sounded out of place on records by Explosions In The Sky or Sigur Ros, and there’s also a twistiness to some of the songs’ construction (I’m thinking of “The Pioneers” in particular) that takes it far outside its trad roots. I disagree with the notion that time has been unkind to the album – though of course, it’s certainly been unkind to the band, who got worse with every subsequent release.